. . .It was an outgrowth of the Parliament of Religions, which opened our eyes to the fact that the philosophy of the ancient creeds contains much beauty for the moderns. When we had once clearly perceived this, our interest in their exponents quickened, and with characteristic eagerness we set out in pursuit of knowledge. The most available means of obtaining it, after the close of the Parliament, was through the addresses and lectures of Suami Vivekananda, who is still in this city. His original purpose in coming to this country was to interest Americans in the starting of new industries among the Hindoos, but he has abandoned this for the present, because he finds that, as "the Americans are the most charitable people in the world," every man with a purpose comes here for assistance in carrying it out. When asked about the relative condition of the poor here and in India, he replied that our poor would be princes there, and that he had been taken through the worst quarter of the city only to find it, from the standpoint of his knowledge, comfortable and even pleasant. 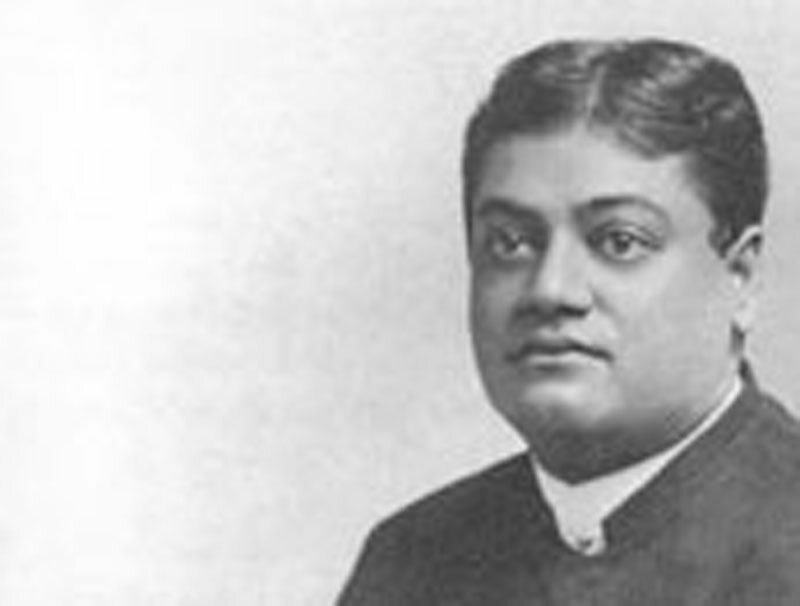 A Brahmin of the Brahmins, Vivekananda gave up his rank to join the brotherhood of monks, where all pride of caste is voluntarily relinquished. And yet he bears the mark of race upon his person. His culture, his eloquence, and his fascinating personality have given us a new idea of Hindoo civilization. He is an interesting figure, his fine, intelligent, mobile face in its setting of yellows, and his deep, musical voice prepossessing one at once in his favor. (The Swami quoted this passage in his letter to Shri Haridas Viharidas Desai, written November 15, 1893. So it is not strange that he has been taken up by the literary clubs, has preached and lectured in churches, until the life of Buddha and the doctrines of his faith have grown familiar to us. He speaks without notes, presenting his facts and his conclusions with the greatest art, the most convincing sincerity; and rising at times to a rich, inspiring eloquence. As learned and cultivated, apparently, as the most accomplished Jesuit, he has also something Jesuitical in the character of his mind; but though the little sarcasms thrown into his discourses are as keen as a rapier, they are so delicate as to be lost on many of his hearers. Nevertheless his courtesy is unfailing, for these thrusts are never pointed so directly at our customs as to be rude. At present he contents himself with enlightening us in regard to his religion and the words of its philosophers. He looks forward to the time when we shall pass beyond idolatry — now necessary in his opinion to the ignorant classes, — beyond worship, even, to a knowledge of the presence of God in nature, of the divinity and responsibility of man. "Work out your own salvation," he says with the dying Buddha; "I cannot help you. No man can help you. Help yourself."